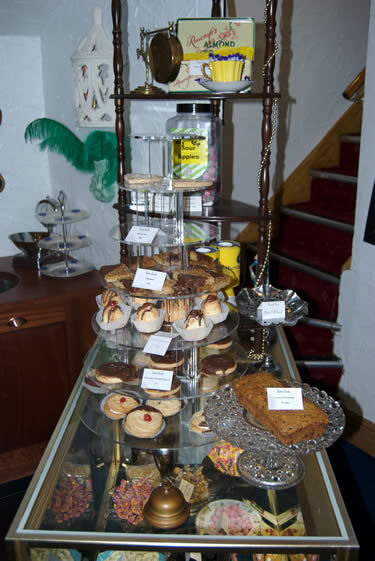 We are open from 9.30am for take-out drinks and food and our tea room stays open until at least 4.30pm on most days. You can see a copy of our Cafe Menu, our Takeaway Menu, and our Buffet Menu. Interlude Tea Room makes an ideal venue for evening parties, business breakfast meetings, club meetings or other events. We can cater for 2 to 40 guests and design a menu to suit your own requirements.